It finally snowed! Which means it’s finally starting to feel more like the holidays! I don’t know about you guys, but I had a hard time wrapping my head around the fact that it’s almost the end of November, and that Christmas is just a little over a month away (34 days!!!). My mind was still under the impression that it was somewhere around the middle of September, and I think a lot of that had to do with the fact that we didn’t have any snow on the ground. We usually have a pretty decent blanket of the white stuff by the end of October, so the fact that we’re almost a month overdue has my brain a little confused…which is possibly why I’m bringing you a pumpkin recipe so late in the game. Then again, I hear that pumpkin is pretty big on Thanksgiving, and I hear that Thanksgiving is right around the corner for all my American friends! You lucky ducks, you. I may have mentioned that I was robbed of my Thanksgiving festivities this year? Which means I was robbed of my Thanksgiving feasting? Mmm hmm. With the family moving, we didn’t even know where the casserole dish was, nor was anyone really in the mood to put together a huge dinner after carting boxes around all day. That being said, I’m more than happy to accept any leftovers that you might have lying around, especially if they involve corn and/or potatoes. I’ll even trade you some pumpkin muffins for them. 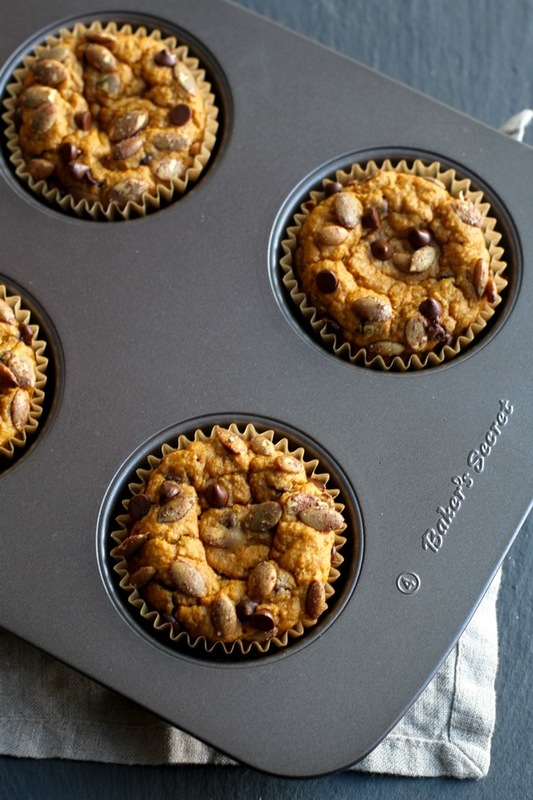 What kind of pumpkin muffins, you ask? The kind made without flour, butter, or oil. The kind that you can grab any time you need a healthy and delicious snack. The kind you can enjoy with your morning coffee, afternoon tea, and evening… err… beverage of choice. The kind that are so soft, tender, fluffy, and flavourful, that inappropriate noises aren’t only a possibility — they’re a guarantee. 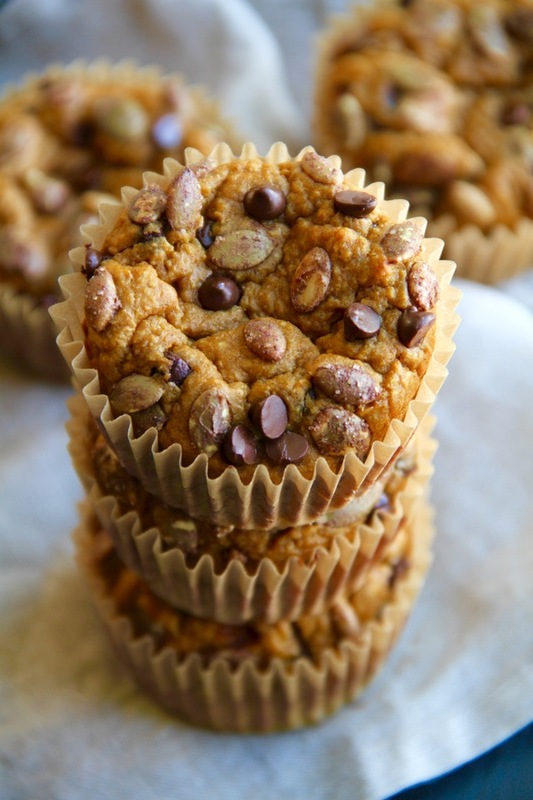 Pumpkin Oat Greek Yogurt Muffins, friends. Made with pumpkin, oats, and… err… Greek yogurt, in case the title didn’t make that painfully obvious 😉 These are based off my much-loved banana oat Greek yogurt muffins, and offer the same healthy snack muffin qualities for those who might not be the biggest fan of bananas, or who just want something a little more seasonal. And the best part is that you can whip them up in your blender or food processor, so cleanup is minimal and they come together in a flash! 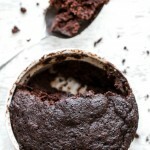 So grab your muffin pan (might I suggest one from Baker’s Secret, which I’ve been using for pretty much my entire baking life?) and whip yourself up a batch to grab ‘n’ go for later. ‘Tis the season! Preheat oven to 400F and prepare a muffin pan by spraying cavities with cooking spray or lining them with paper liners***. Set aside. 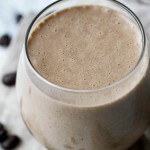 Add all ingredients except for chocolate chips to a blender or food processor and process on high until oats are broken down and batter is smooth and creamy, about 2-3 minutes. Stir in chocolate chips by hand. Pour batter into prepared muffin pan, filling each cavity until it is about ¾ full. 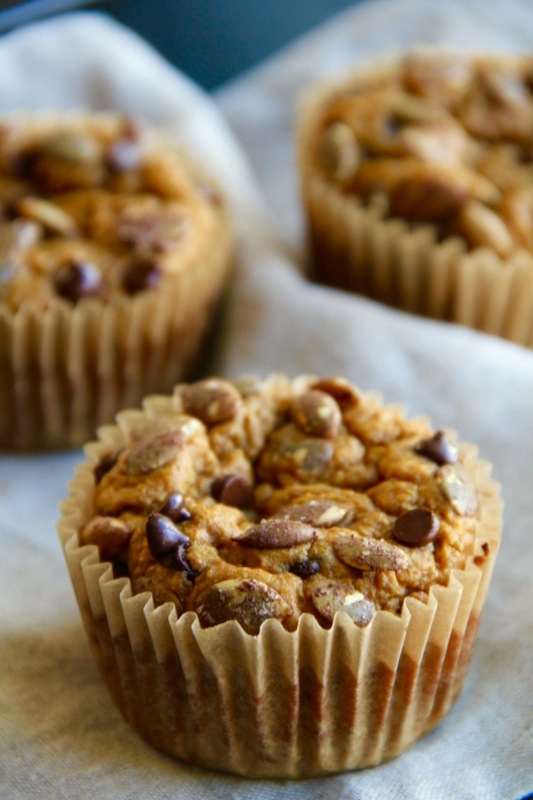 Sprinkle a few pumpkin seeds or chocolate chips over the top of each muffin, if desired. Bake for 15-18 minutes, until the tops of your muffins are set and a toothpick inserted into the middle comes out clean. Allow muffins to cool in pan for ~10 minutes before removing. Store in an air-tight container for up to a week. * be sure to use certified gluten-free oats if you need these to be gluten-free. 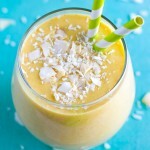 ** you can easily sub this with brown sugar, and if you want to reduce the amount of more refined sugar, you can use 1/4 cup of sugar with 2-3 Tbsp. of honey or maple syrup. 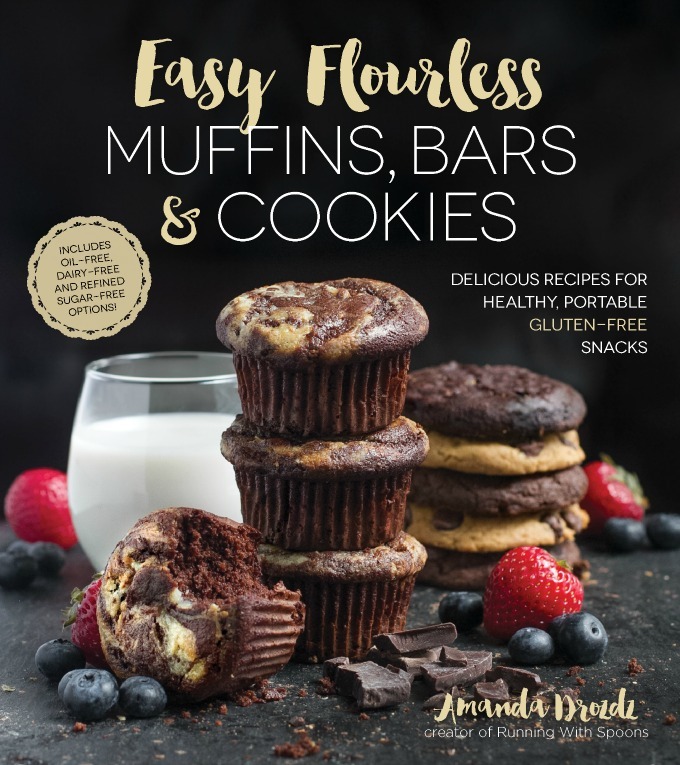 *** If using paper liners, you'll want to spray them with cooking spray as well, since the lack of oil in these muffins could make them stick to the liners after baking. 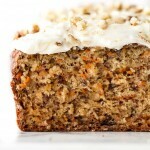 Looking for more Greek yogurt muffin recipes? Try one of these! American friends: what’s for dessert on Thanksgiving?? Disclaimer: This post is part of the #BakersSecret holiday campaign and sponsored by World Kitchen. While I did receive free product and compensation for my time, all thoughts and opinions are my own. Lots of love for showing love to the brands that help support Spoons! « . thinking out loud #157 . Yum! I think I’ll bake these up Wednesday night and have them for Thanksgiving morning next week! 🙂 Hope you have a great weekend! Any muff that can be whipped up in a jiff in the blender is my best friend. Off to buy that muffin tin!! Agreed! 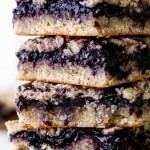 So many things to love about this recipe. One “bowl” baking is my best friend! 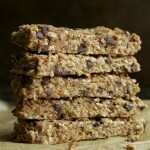 Processed oats are a beautiful alternative to flour – came out so fluffy! Recipe works well with any squash, I used buttercup. Limited sugar! I used even less than 1/2 cup. 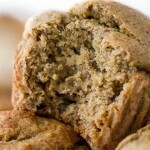 Lots of Greek yogurt makes a moist muffin with a good amount of protein!. And what’s not to love about adding chocolate to everything. Thoroughly enjoyed these, making more this week with pie pumpkin I just baked. It’s been a pretty warm week for November down here, so I’m hoping we’ve got at least a month before we see any snow. Though I’d be totally happy if we made it the whole winter without it, too! These are so much like my Pumpkin Muffins, I’d say great minds think alike, except yours are just SO MUCH PRETTIER 🙂 I envy your photography skills as usual! These look heavenly! 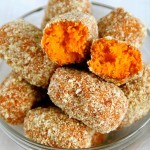 I am loving that these have no flour and can be made gluten free – as I am being tested next week for celiac disease. I also have a can of pumpkin that I had no idea what I was going to do with…but now I have an excuse to open it up and take in a little more autumn flavors! Even though currently there is snow on the ground! Ahh! I hate snow! I am not feeling very holiday ish either! Weird. It doesn’t snow where I live, thank goodness but it has been weirdly hot anyways. I was going to say that your muffin pan looked so nice and pretty and clean. Mine is so dirty! 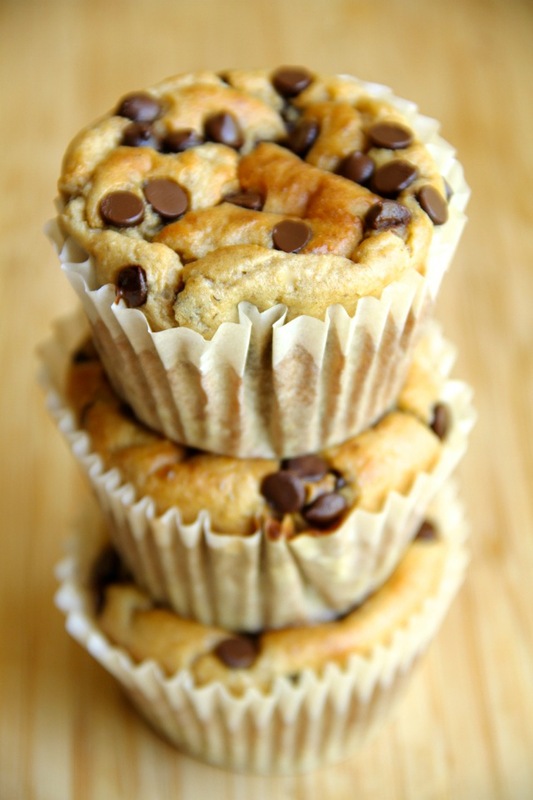 These tasty muffins prove that baking with greek yogurt is incredibly magical!! I love these!! ..and the g.free option 🙂 So lovely! …these are just gorgeous as well… and so perfect for this time of year!! Thanks for sharing! We have snow in our forecast overnight and tomorrow! I’m not ready! Just last weekend it was in the high 60s. What’s happening?? still no snow over here! We may get some over the weekend, which I find hard to believe because we had a good 3-4 days of around 12-15 degrees this week. So we’ll see what happens. Last thing I baked: some cookies a month or so ago? Although one of my friends and I have decided that we’re going to have a wine night soon, but instead of having dinner or cheese or whatever, I’m going to bake some sort of epic cake and we’re going to have a wine and cake night. Needless to say, I’m excited for this. … I would literally fly across the country for this. Especially if it’s chocolate cake! I can’t believe it snowed in California before it did by you! Crazy, but the good news is that it’s never too late for pumpkin. Especially since Americans will have some leftover that they need to use up. These look like the perfect solution! Happy weekend, lady! snowing = holidays for sure. Send some our way. ALong with those muffins. I mean you are on the way to mountains, right? so just drop some in the mail on your way. mmm k? YUM! Also, I love my Polish pottery for muffins. It’s too pretty to pass up. 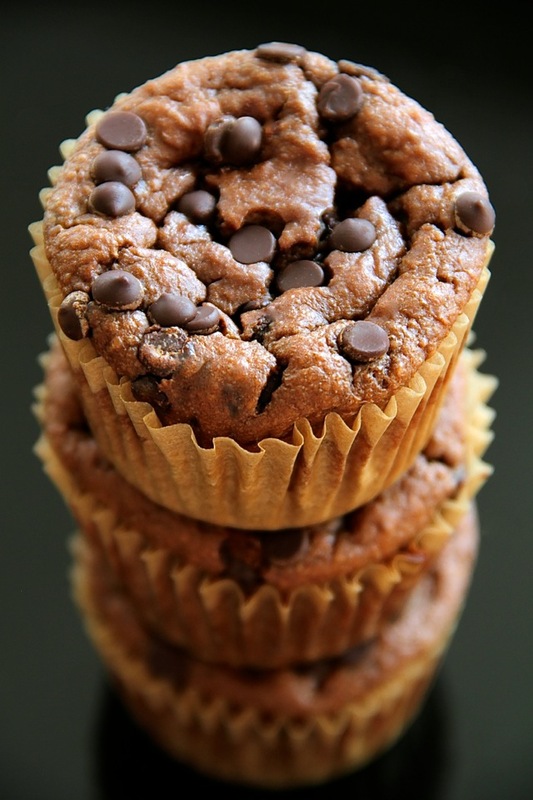 Those seeds….those chocolate chips….these..MUFFINS! I want in my face right meow. I cannot be trusted with pumpkin baked goods, I made some bread last night and ate the whole thing. Oye. Who am I kidding though, that’s with ALL baked goods. HA. Mm hmm. I totally feel ya there. Muffins/cookies for dinner is a pretty regular thing around these parts. I’d love to hear how you liked them, Jan! These are amazing! So moist. 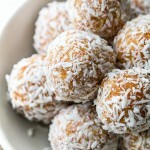 After they cooled, I was surrounded by my husband, my 14 month old daughter and my dog – all begging for these! Ooh these sound amazing! 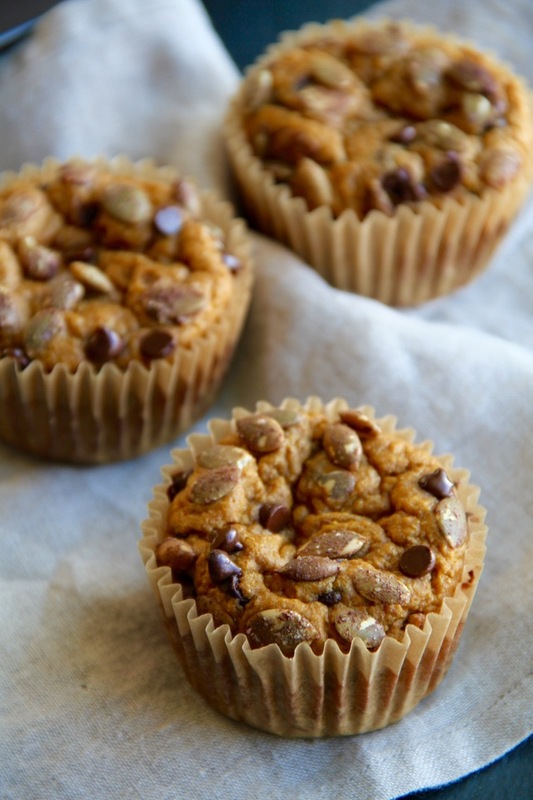 I love pumpkin and chocolate and these muffins would be perfect for post Thanksgiving breakfast! Glad you got snow, Amanda – but good gosh, I’d flip if we got some in November – though it’s been below freezing these past couple of mornings – and once upon a time we wore shorts and flip flops during Thanksgiving! GAH! Sorry you missed out on your Thanksgiving feasting – you are welcome to come down south and feast with us 🙂 We are having sugar free banana chocolate pie and pecan pie and apple pie for dessert! I want to say something nice but seeing as I’m stuffed to the core, I’ll just say the bakeware is amazing- I need something just like that- off to check it out! Are you trying to tell me you don’t have room for one soft and fluffy pumpkin muffin? I call shenanigans. 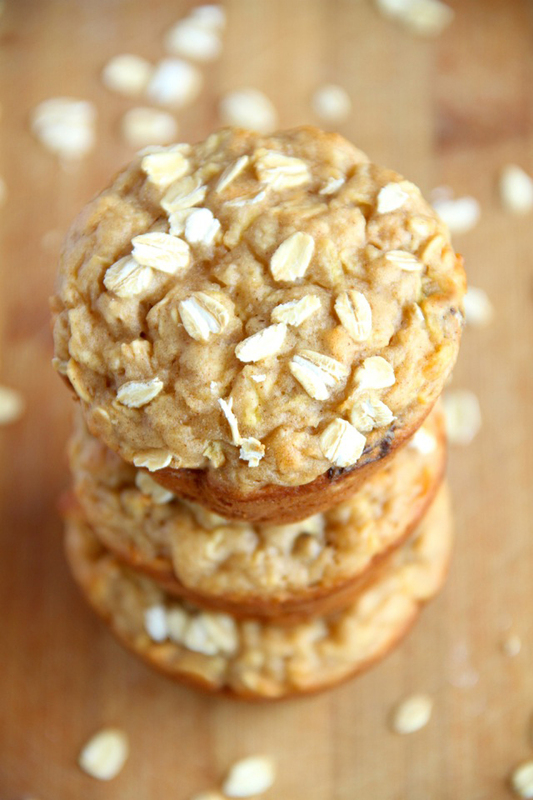 I tried your banana oat Greek yogurt muffins, and they were absolutely divine. I’m sure the pumpkin version is just as good! I think this would also be great subbing in mashed sweet potato for the pumpkin. I made these on Sunday and now two days later I am making more. The first batch was banana and tonight I am making pumpkin. I didn’t use a blender for the first batch and that made for a weird texture (brcause I failed to break down the oats) but they still taste good. Tonight I used the blender and the texture was perfect. It pays to follow instructions! So moist and flavorful without any of the guilt. I will be making these often. I think I will try apple next. I’m so glad you liked them, Tammie! 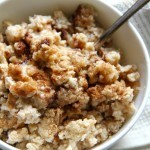 And the blending step is pretty crucial, otherwise you just end up with little baked oatmeal cups instead of muffins. I need to get chocolate chips but I was wondering what size can of pumpkin did you use? I use a 14 oz can, Tania! But the recipe only calls for 1 cup, which is about 220 grams. These are amazing!!! Anyone know the calorie breakdown of these? Please tell me egg substitute as I am vegetarian. I just wanted to start by saying as is these look amazing. I really like pumpkin but I was looking for just a chocolate chip oat muffin. What would you suggest I replace the pumpkin with? It just isn’t the taste I am looking for. I also do not wish to sub banana. I’m assuming the pumpkin adds moisture and would need to be substituted. Thanks a bunch! I tried these out and they came out sooooo delicious! I still have lots of pumpkin and Greek yogurt to use up so I’m gonna try out your Greek Yogurt Pumpkin Banana Bread today mmm! 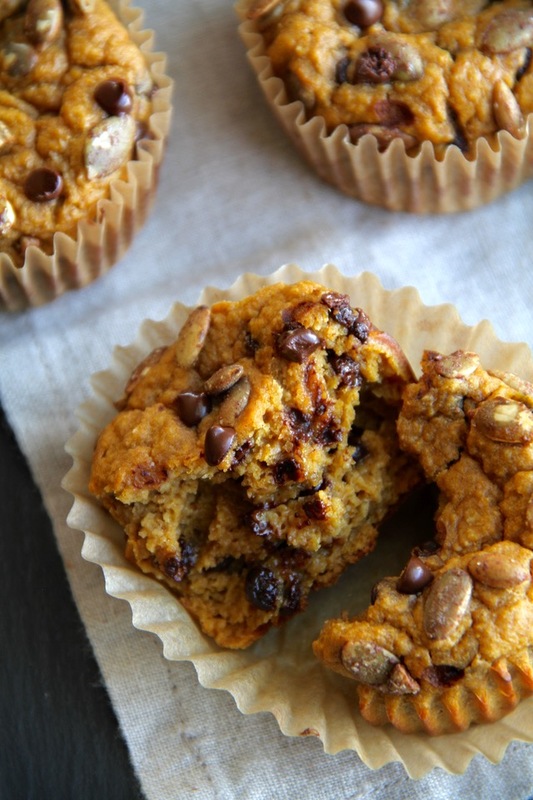 I had some extra Greek yogurt I was trying to use up and didn’t have any bananas, which is a common pairing when making muffins, so I was excited to find this recipe with pumpkin! Loved how simple it was to make, and it made for a great breakfast or snack. It also froze well, just defrosted in the fridge and heated up in the microwave. 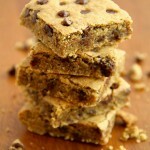 I just made my second batch today, but this time used a bit more cinnamon as well as more special dark chocolate chips. Excellent recipe, thanks for sharing! 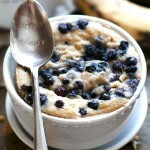 Great muffin without guilt! I will make again and add some more cinnamon and perhaps another spice too. These were sooo good! I used 1/4 cup of coconut palm sugar and 2 tablespoons of maple syrup. I also added raisins instead of chocolate chips as I wanted to make these for my toddler. He also loved them! Only thing I found is that I needed to bake them for closer to 22-23 min.